An eviction notice can be called many different thing which we’ll discuss, but they generally fall into three types. There’s only three different situations in which a landlord will want to terminate a tenancy: (1) Tenant is not paying rent (2) Tenant is in breach of lease and (3) Tenants’ lease term is up. A notice to pay or quit is required in some jurisdictions before a landlord can file for failure to pay rent. This notice is sent because a tenant is not paying rent. 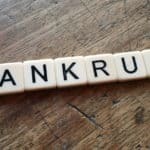 In the jurisdictions that require notices of failure to pay rent, there may be a certain number of days a landlord has to wait after sending a written letter before filing suit. Be sure to include the correct number on the notice and wait the correct number of days before filing suit. A notice to cure or vacate is used when a landlord wants to terminate a tenant for breach of lease. 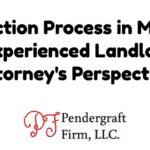 Most jurisdictions require a landlord to send a tenant a written letter and give them the opportunity to cure the violation within a certain number of days, usually 30. Some jurisdictions allow for less time if the violation is particularly hazardous. 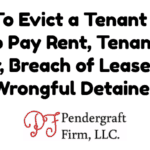 This eviction notice is used when a tenant is in breach of lease. A notice to terminate tenancy is required to evict a tenant in many jurisdictions for staying after their lease term ends. 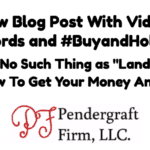 A tenant who remains after a lease term ends is called a holdover tenant. If you have a lawful lease agreement then you must terminate according to the lease. If not then you must give the tenant a written letter for the minimum number of days before you can terminate their tenancy, usually 30-60 days. There are two very good reasons to have an attorney-drafted letter. Your tenant may take an attorney more seriously, and an experienced local attorneys knows the nuances of what needs to be included in notices.